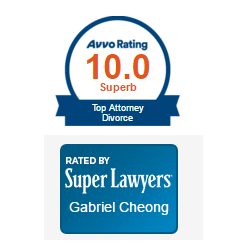 Although divorce is never easy, it is certainly less stressful when it is uncontested. Even so, it is important that in a parenting plan both people involved understand what to expect as the process unfolds and each emerges into the world as a single person. Responsibilities and rights that were present within the marriage will need to be divided in a way that suits each person’s needs to best way possible. Balancing debts and assets is often a challenge, but when there are kids involved, the top priority is creating a parenting plan that takes into account the best interests of whatever children are involved. Even when both parents agree on the surface, it is still important that each understand what their obligations are likely to be once the divorce is final. That’s why even friendly divorces should seek the assistance of a lawyer that can prevent many misunderstandings or conflicts that could potentially come up through the course of the proceedings, or even later on. Custody and visitation were once the common terms when it came to deciding where and how minor children would spend their time after their parents were divorced. It referred to the physical place where a child might be at a given time. If it was ruled that the child move from one place to another and back again often that child would experience two different, and sometimes conflicting parenting styles, This type of shifting has the potential of creating instability in the child’s life, even when both parents are a positive influence. By embracing the term “parenting plan” the courts not only look at where the child will be physically, but they also pay attention to the cohesiveness of their overall upbringing. While the traditional terms for divorced parents have been custodial or non-custodial efforts are being made to change this. Instead, the terms “residential parent” and “non-residential” parent are being used. The term visitation is being used less as well. Instead this time is called “parenting time.” By using the revised terms it reinforces the fact that parents are always parents whether they are with their kids or not. Developing a parenting plan in Massachusetts is usually a joint effort between the parents and the courts, and will take many things into consideration including. Parenting plans are not one size fits all. Infants, toddlers, preschoolers, elementary school aged kids, and teens all have different needs when it comes to parenting. When infants and toddlers have had limited one on one time with the non-residential parent, a parenting plan might limit time to 2-3 hours a few times a week in order to allow for bonding time that does not overwhelm the child. Preschoolers who are very comfortable with both parents may do well with a schedule that splits time with each parent more evenly, especially during times when a school schedule doesn’t need to be maintained. As kids delve deeper into their school years, their activities play a bigger role in their lives, and parents need to communicate about their extra curricular activities, such as sports practices or music lessons. Older kids have a better understanding that a parenting plan is in place, and their schedule should take that agreement into consideration. If one parent winds up losing their parenting time, it’s possible that schedules will need to be revisited to accommodate the child’s evolving needs.A recent study conducted by Ohio State University, and published in the Journal of Marriage and Family confirmed that after a divorce, a child’s need for stability is stronger than ever. Those who lived in unstable post-divorce situations were less likely to make achievements in higher education and career goals. Parenting together means discussing milestones and lifestyle staples in a child’s life, such as the amount of computer or television time they should get, disciplining methods, social groups, dating rules, driving, and after high school plans including college, military, or vocational options. By having parenting agreements, the relationships between the parents and children are solidified and everyone involved has the ability to see the importance of each parent doing more than spending time with the child, but truly taking parent in raising them. In Boston and all throughout Massachusetts, if a couple files for divorce and they have children under the age of 18, they are required, court mandated, to attend a parental education course before they are allowed to finalize their divorce. Up until now, I’ve sent many clients to the parental education course and had a vague idea what it was about. I personally never had to go through it myself so I couldn’t tell my clients what it entails and what the format was. I recently had the privilege to attend “Parents Apart”, the parental education course offered by Selma Ingber, LICSW and Charles Mundhenk, Ph.D. Here is part 1 of what I learned. The class is really not there to teach you how to raise your children. Its purpose is to point out the different reactions children have to their parents divorce and how best to respond to them. If you are a good parent, the course is not going to change you. If you are a bad parent, it’s not going to change that either. It might however, make you realize that the divorce affects not just you and your spouse, but it affects children – and often negatively. Not all children will have an adverse reaction to a divorce. Whether or not children respond well depends on their temperament, age, gender, environmental stability, psychological function of the residential parent, contact with both parents and the intensity of the conflict between the parents. Children need to know what’s going on. That information is conveyed according to their age. When they’re toddlers and preschool, you use simple phrases such as, “Mommy and Daddy are going to live apart and we love you just as much.” Divorce is a grown-up word that children of that age don’t understand. If the children are older, you use more appropriate words but you always tell them, no matter at what age group, that they’re still loved and that the divorce is not their fault. Children often internalize the feel of guilt in a divorce because they believe they’re the center of the universe and everything revolves around them. So if something bad is happening, it’s because of them. You cannot tell them enough that this is something that mommy and daddy are going through and that it has nothing to do with how the children behaved or said. Don’t involve the children in legal and financial affairs. You want to leave the legal and financial aspects of the divorce as something between the parents. Even if you try to explain it, they won’t fully understand the concepts of alimony, child support and property division so it’s best to leave that out of your conversations. Loss and grief is part of divorce for both parents and children. Lastly, you as the divorcing parent might go through a period of loss and grief in which you experience denial and isolation at first, then you move onto anger, then bargaining, depression and finally acceptance. Children experience something similar. They might go through Denial and Isolation – “Mom and Dad will get back together again”. Then they might go through Anger – “How could you do this to me? Parents are suppose to be together!” Then the Bargaining stage – “I’ll be good. I’ll take out the trash and you two won’t have to fight anymore.” Depression – “Life stinks.” But finally, you will get Acceptance of the situation. Studies show that most kids will recover from the initial shock and readjustment period and will go on to be OK. However, knowing how to talk with your children and looking for healthy signs of coping will help you determine whether or not your children are coping well and whether or not they require counseling. The main message of the second day of the class really was about co-parenting. As I say to my clients all the time, you are divorcing your spouse, not your family. You, your soon-to-be-ex and your children will always be a family. Nothing can ever change that – no judge or court or any other legal intervention. So if you’re going to be a family together, then act like it. Talk to the other parent directly and don’t use your children as messengers. Don’t say things like, “Tell your father that he’s 2 weeks late on his child support” or “Tell your mother that she needs to bring you back on time.” That doesn’t foster good relations between you and the child and makes the child’s relationship with both parents uncomfortable and ultimately damaging. Don’t discuss issues with the other parent with the child. In other words, don’t ever bad-mouth the other parent. If the other parent bad-mouths you, bite your lip and don’t counter with something bad THEY did. Your children will ultimately realize that you’re a good parent and you were a good parent partly because you never made them uncomfortable to be around you or their other parent. Pay attention and listen to your children. Children pick up on your bodily actions and tone when you don’t want to talk or too busy. If your children has something they want to say, let them speak and put the groceries down. The groceries will still be there later – your child’s feelings and their ability to express them might not. Do not use child support as a weapon. Do not use contact with the children as a weapon. Don’t over indulge your child because you’re trying to “win” them over. Children needs structure and guidance and boundaries – not free roam, gifts and toys. If you try to win them over, in the short run, they might “love” you more, but in the long run, you’re hurting them by not being a parent. Don’t over burden your child with extra responsibilities or emotional baggage. Remember that the divorce is not your children’s fault and therefore, if you make them carry the load that your ex used to carry, they will see it as punishment and they will start to think that what happened to the family is their fault. Your kids have enough to worry about, don’t trouble them with money issues. You should continue to teach your children about the importance of money and the value of a dollar, but remember, if you didn’t burden them with the mortgage payments before, then you really don’t need to tell them about your late payments now. That’s a short laundry list of Do’s and Don’ts for parents but it’s also important to realize that kids always know more than they’re leading on. It’s also important to not let them control and guilt you as a parent. Children often make a point to tell you what the other parent got them or let them do. Don’t fall into this trap because it leads down the road of over-indulgence and a race to “win” them over, as I stated above. The important thing to realize is that sometimes it’s not the parents fault but the kids who are taking advantage of the situation. Now is the time to be good parents and set boundaries. If you are having trouble coordinating times and communicating with the other parent, I have found a great internet site that might be helpful. The site offers tools to help parents communicate more effectively, set schedules for themselves and their children and thereby engage in better cooperative parenting to their children. Afraid Your Child Will Be Taken out of the Country? We often get calls from parents who are concerned that their co-parent, spouse, or ex-spouse has the means to take their child outside of the country. In some cases, co-parenting with a foreign national can be frightening. You may be concerned about your co-parent taking your child outside of the country at all, or you may be concerned in just one specific instance. So what can you do? The US State Department has an excellent website to help put co-parents concerns at ease. What is worthy of special attention is the US State Department’s Children’s Passport Issuance Alert Program. Parents of children under 18 can enroll their children in the program and receive alerts when a request for a passport has been made. Unfortunately, the US State Department cannot control whether your child is issued a passport by a foreign government, but the program offers some reassurances! If you are co-parenting with a foreign national and want to understand more about your rights and obligations, call our offices for a free phone consultation.